Let's get this par-tay started!!!! and share the joy and tell your friends! as the first giveaway of the celebration! during The Queen Bee Market and I wanted one of everything! fashions she shares for her weekly link party - What I Wore Wednesday. Lindsey is generously offering a $25 credit to her fabulous shop!! she's offered 10% off your order using the code FUNKY. Visit The Pleated Poppy and leave a comment sharing the name of the item you must have. This GIVEAWAY will end on Monday, June 13th at midnight PST. I NEED one of her scarves! Ooo! I love the Sunglasses Case! It would be perfect for my purse. Fun! I love the Pleated Poppy!! I would totally get the zippered pouch in turquoise damask! SO cute!!! 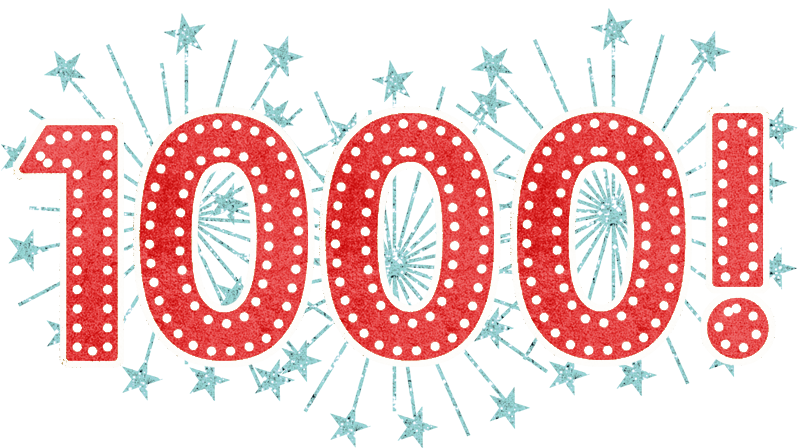 Congrats on 1000 followers! That is awesome! I would love to have the zippered poutch or the wristlet clutch. I especially love the turquoise damask!! I love the zippered pouch in black damask. Very pretty! 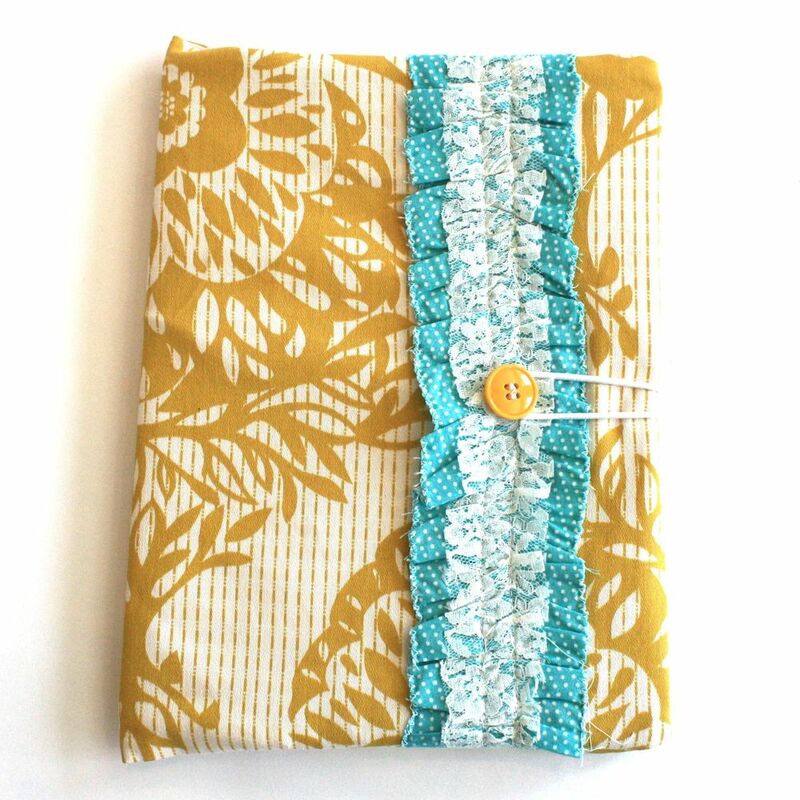 I love the turquoise damask zippered pouch. Love her stuff! I love the posy hair clips! I follow her blog of loveliness! I would love to win one of her petal pushers. Love them! I follow her blog, too! For me....I really like the covered notebook-ride on! Always nice to have a fun notebook for bible study or crafting ideas! I MUST have the turquoise damask pouch! I LOVE that print! And who can resist a ruffle?!? I follow The Pleated Poppy. I love the pleated poppy! I love the petal pushers and the I-Pad case in Seaglass! I am a follower of The Pleated Poppy Blog already! I have been dying to get some petal pushers from Lindsey's shop. Just dying! I hope I win! I love the ruffled scarfs. I love the ruffled scarf - white! 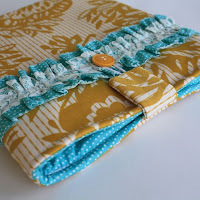 I love the turquoise damask zippered pouch! I need that yellow ruffled scarf! So pretty. 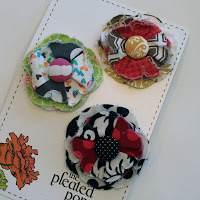 I love love her posy pins!! I love her Bloom Belts...too bad she's sold out. They are so cute & unique. I bought a zipper pouch for my sister at Queen bee and she gets SO many complements on it. I wish I would have picked one up for myself! So I would LOVE a.. 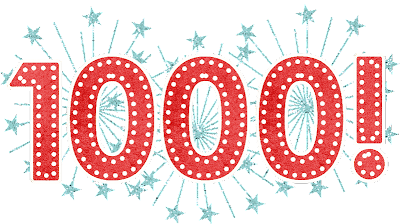 I put a celebration button on my blog! Hooray and congrats! I love the checkbook cover in martini dots! The celebration button is on my blog! The zippered pouch-lots o' dots 2 is beautiful! I would love one of her zippered pouches, probably one of the "lots of dots" ones. 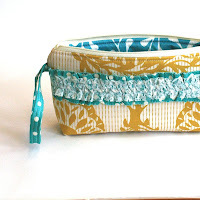 Hmmmmm.... zippered pouch - turquoise damask? Ruffle scarf? It's hard to choose! I love the petal pushers...maybe cranberry, or olive?? I want a cream petal pusher. That'd be fun. K. Thanks. I LOVE LOVE the ipad case in black damask with grass green!! So cute! I'm a follower of Lindsay's blog! Love it! The martini dots checkbook cover. So cute. Oh I'm in LOVE with the Martini dots checkbook cover!! How cute! I need a petal pusher... any color will do. :) congrats! i already follow lindsey's blog. I love the heather grey ruffled scarf! 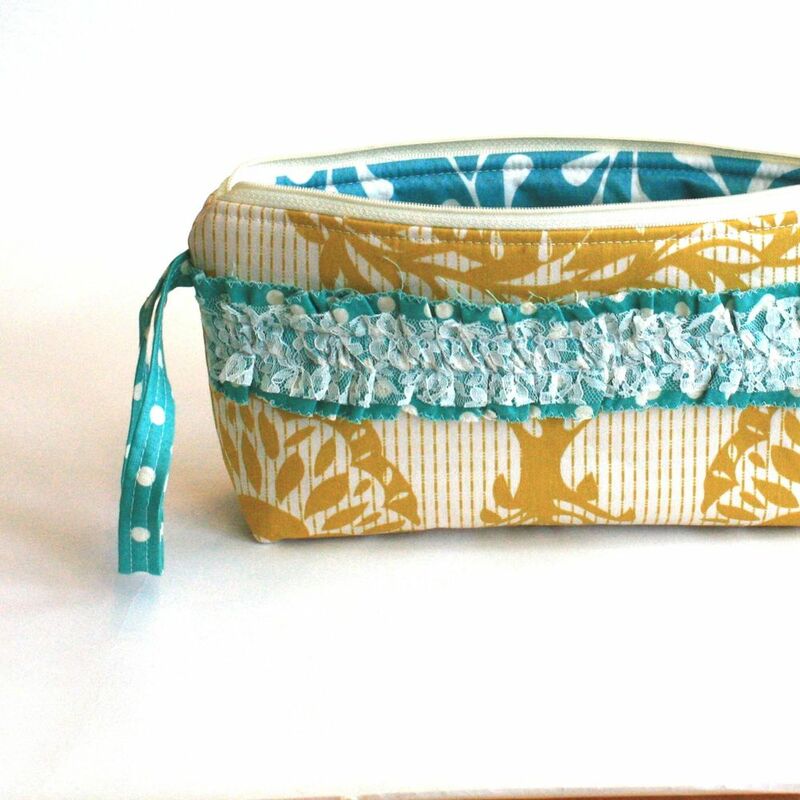 I love the turquoise damask zipper pouch!! The button is on my blog!! I love the lots o dots 2 clutch! I would love to have the Sunny Skies Covered Notebook! 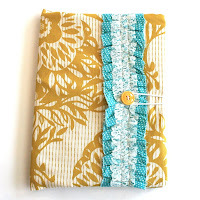 I would love to have her turquoise damask zipper pouch or the checkbook cover! love the scarves and the check book covers! Regular Button on my blog. 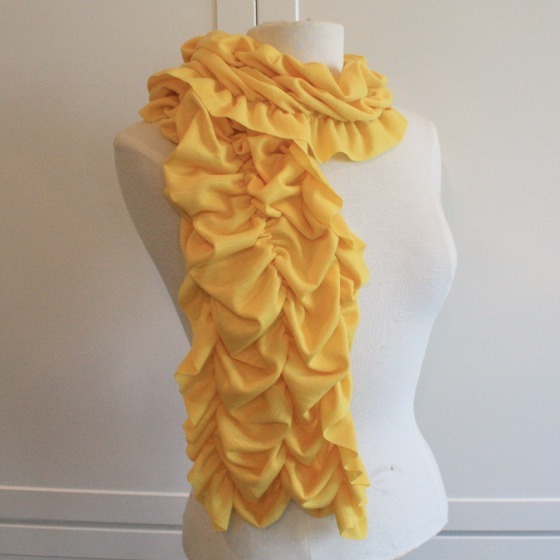 Love the ruffled scarf - sunshine yellow. Too fun. Love her stuff. I "must have" one of the "petal drop necklaces"! So very cute!!! I love the ruffled scarf in raspberry! I would love a wristlet clutch bag! I love the "covered notebook - apple green dot". Super Cute! I have wanted one of her ruffled scarves for soo long. I love the yellow. Thanks for the chance. I have been a faithful follower of The Pleated Poppy for some time now. Thanks so much for the chance. Oh I want one of her ruffly scarves SO BAD! I love to have the grey ruffled scarf! Thanks for the entry! I'm a new follower of Lindsey's blog- thanks for the entry! 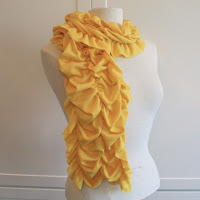 I adore that ruffled scarf in yellow! I love her scarves! Especially the plum one! I like the wristlet clutch in Summertime. I now follower the Pleated Poppy blog. Love the hot pink bloom bag. I am in LOVE with every single set of Posy Pins. I would love to have any of them.... They are so darling!! I love the tiny pouch in apple candy!! but then again, I love absolutely every single item in her shop! I'm a longtime follower of Lindsey's blog! I'm a longtime PP follower... LOVE her blog! I lov eit all! The turqiouse and demask zippered pouch is lovely! I happily follow Lindsays blog! Turquoise colors always attract me - would pick the turq zippered pouch.